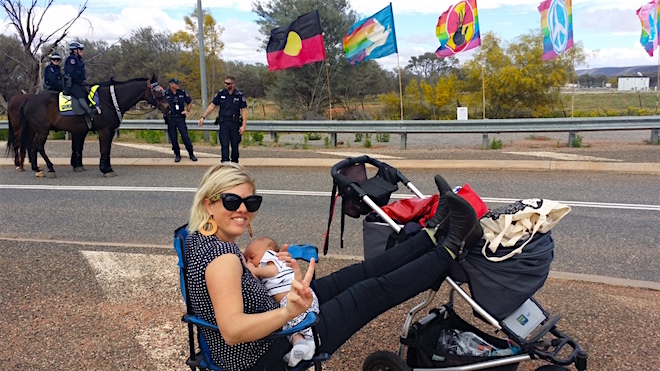 Above: Alex Kelly with son Clancy at a Pine Gap protest organised by the Independent and Peaceful Australia Network (IPAN) in October. “This maverick standout 21st century artist, producer, thinker, change-agent.” This is how Alex Kelly was described in her nomination for a prestigious Sidney Myer Creative Fellowship. The Sidney Myer Foundation liked it – and the substance behind it. Last week they gave her one of their eight 2016 fellowships, worth $160,000 tax-free over two years, untied. It is there to support Kelly in whatever endeavour she chooses. In 2015 she was travelling the globe, as part of the team behind Avi Lewis and Naomi Klein’s This Changes Everything project, a film and book about climate change, which as the title suggests is no silo issue. It reaches beyond the interests of any one nation or group, whether environmental, economic, cultural, with potential devastation. Kelly was involved as an impact producer on the project, a “dream job” for this dedicated and innovative social justice advocate. It meant using the book and film as conversation starters in all sorts of gatherings and settings, building bridges between social movements. The human response to climate change needs them all and developing that response will also address other divisions that wrack the world, such as economic inequality and racial injustice. 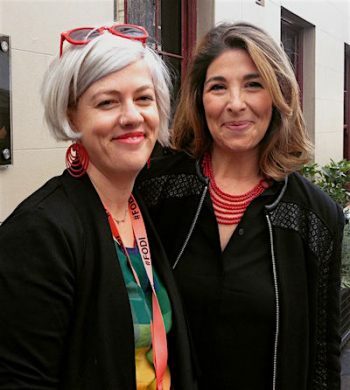 Left: Alex Kelly with Naomi Klein during Klein’s recent visit to Australia to receive the Sydney Peace Prize. This wasn’t the beginning for Kelly. In fact it’s hard for her to pinpoint a moment, but the seeds were planted in childhood at the knee of her unionist mother. She grew up on a family farm in the Riverina from where her mother worked as a consultant to trade unions. Friends would come to stay, feminist unionists, whom mother and daughter are friends with still. Kelly also recalls her father’s strong working class values and particularly his generosity. The family had its share of difficulty and conflict though and she learned a lot through that as well. She studied arts, media and communications at Swinburne University in Melbourne and busied herself with political activism around the impacts of globalisation. This was in the late 1990s, early 2000s. “She volunteered to work at the grassroots end of a Big hART project – folding blankets backstage for a complex performance project working with homeless people for the 2004 Melbourne International Festival for the Arts. “Alex essentially walked off the street and put herself to work. She was soon contributing to building team life, ideas, media, communications, strategy and assisting with the complexities of working with a high-needs cast of performers. Kelly next turned towards making herself useful to the Irati Wanti campaign against a then proposed nuclear waste dump for South Australia. She moved to Coober Pedy, having taken a Pitjantjatjara summer school in Adelaide so as to better communicate with the senior women who led the campaign. Rankin suggested that she meet the actor Trevor Jamieson who had a story to tell about the impact of the bomb tests at Maralinga on his people. 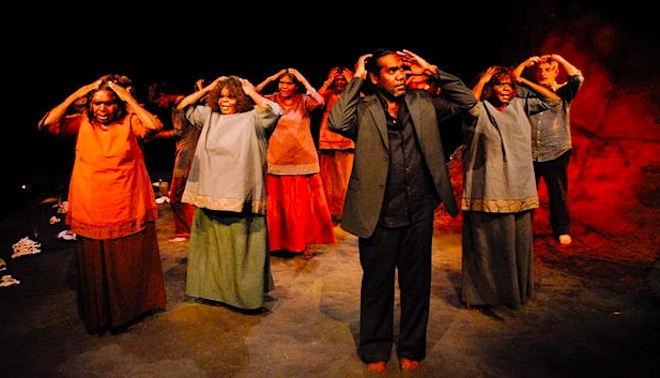 Above: Trevor Jamieson and cast in Ngapartji, Ngapartji teaching the audience to sing “Heads, shoulders, knees and toes” in Pitjantjatjara. Alex Kelly was creative producer on the project. Photo Sydney Festival 2008 Heidrun Lohr. Out of that meeting Rankin, Kelly and Jamieson developed Ngapartji, Ngapartji, which would put Indigenous languages, and Pitjantjatjara specifically, at its core. (The project title means “I give you something, you give me something”.) This focus prompted Kelly to move to Alice Springs, home of the Institute for Aboriginal Development, the first Indigenous language centre in Australia. Alice became the base for the project. Her intensive work on it lasted for six years and she remains a steward of its legacy. This kind of locally-based deep engagement is in contrast with the high-octane global reach of the This Changes Everything project. Kelly thinks she’ll probably always swing between the two modes but for now the pendulum has returned to The Centre, where she has made her home. Staying still is relative. Just this month she has been supporting Naomi Klein during her visit to Melbourne and Sydney where Klein was awarded the Sydney Peace Prize and where Kelly helped her use the opportunity to draw attention to the campaigns against the Adani Carmichael coal mine and the Northern Gas Pipeline. Kelly is also working towards the second Something Somewhere film festival, which had its first iteration in May this year, selling out every session. “Bums on seats” though is not foremost among Kelly’s measures of success. And at this point I raise the question of “courage”, which was one of things the Sidney Myer Foundation was looking for in its fellowship recipients (the other was “outstanding talent”). 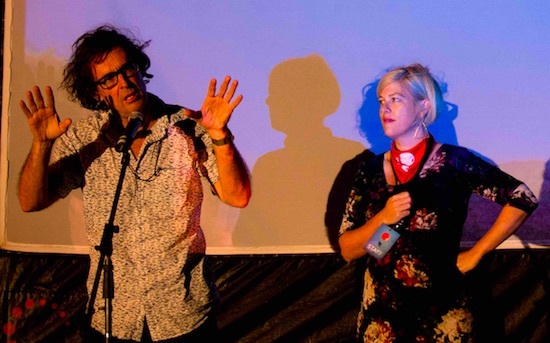 Above: Alex Kelly on opening night of the Something, Somewhere film festival with filmmaker Robert Nugent. Kelly prefers to talk about “risk-taking”. With directing her first documentary film, Queen of the Desert, the risk was to be able to effectively tell a television audience this unusual story of inter-cultural friendship and exchange between the flamboyant transgender hairdresser Star Lady and the residents of the remote community of Areyonga. After it premiered on ABC2, Kelly and Star Lady teamed up for a feat of distribution. It went to over 40 film festivals around the world and Star Lady personally took out into desert communities some 800 USBs with the film and other queer and transgender stories. In the Ngagpartji, Ngapartji theatre production, there was risk in getting an audience standing up and learning the children’s action song “Heads, shoulders, knees and toes” in Pitjantjatjara. In fact, she says, there’s always risk-taking involved in making art and story-telling – the risk that you may not find a way to effectively engage your audience, especially in a media-saturated world. The fellowship will allow her now to put time into devising another large project. It will be around climate change, but not a traditional environmental campaign, more arts-based. She’s been delving into “cli-fi” (branching off sci-fi) and may take her inspiration from this terrain. She’s also got more film projects on the go, as a producer, and wants to work on becoming a better writer. Her practice to date has mainly been in the form of press releases, newsletters and social media. She’d like to start writing essays. In the meantime, her infant son is placing his own (happy) constraints on her time. I asked her how she felt about bringing him into a world facing so many serious challenges. “I’ve always resisted the message of some environmentalists that they were campaigning for ‘our grandchildren’. For one, it doesn’t include everyone and it also seems to ignore what’s wrong right now. “On the other hand I know people who don’t want to have children or who worry about it because of the state of things. And climate change will amplify all the other issues. “But I’m a hopeful person, I don’t feel that way. And I’ve called him Clancy, an Irish name which means ‘red warrior’, a name to give him strength for the future. Kelly was not the only NT recipient of a Sidney Myer Creative Fellowship. Darwin-based playwright Mary Anne Butler (right) was also one of the lucky eight. 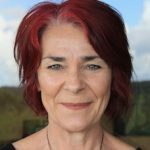 This follows on from her success at the 2016 Victorian literary awards, for her play Broken, which won not only in the drama category but also the Victorian Prize for Literature. Thats so brilliant Alex, congratulations! This is terrific Alex, and I look forward to seeing what you do with this fellowship that will resonate and impact. Huge congratulations Alex! So wonderful to hear this news and makes me feel hope for our future, which is much needed right now.